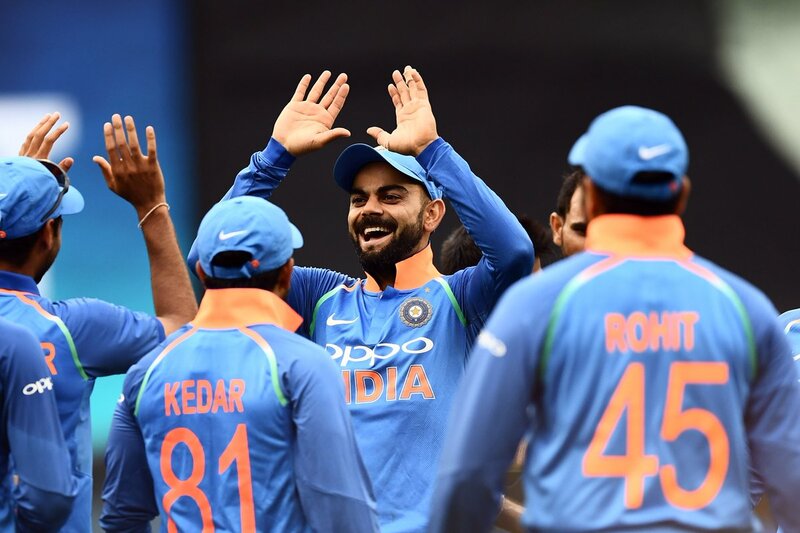 Mahendra Singh Dhoni struck an unbeaten 87 to guide India to a historic ODI bilateral series win against Australia as the visitors beat the hosts by seven wickets in the decisive third match, here Friday. Melbourne: Mahendra Singh Dhoni struck an unbeaten 87 to guide India to a historic ODI bilateral series win against Australia as the visitors beat the hosts by seven wickets in the decisive third match, here Friday. Before this, India had become first team from the sub-continent to win a Test series Down Under. Australia: 230 all out in 48.4 overs (Peter Handscomb 58, Shaun Marsh 39, Yuzvendra Chahal 6/42). India: 234 for 3 in 49.2 overs. (MS Dhoni 87 not out, K Jadhav 61 not out, V Kohli 46; J Richardson 1/27).